8 OFFERS!! 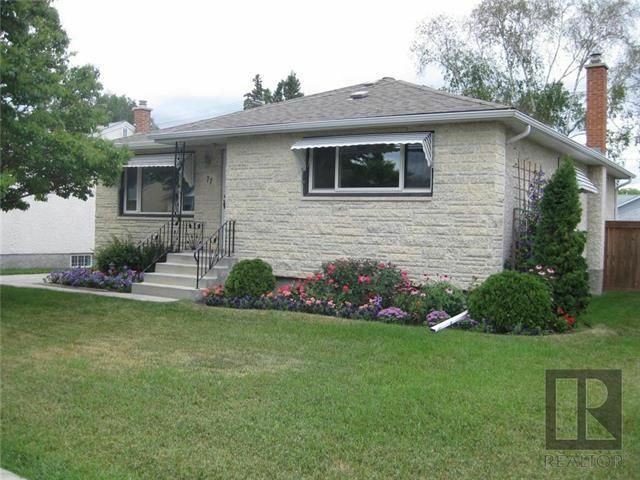 SOLD ABOVE LIST..Wonderful open concept St. Vital Bungalow. Great neighborhood, nice Tyndall stone curb appeal, green backyard, hardwood floors (under carpet), huge eat-in kitchen with oak cabinetry, 4 bed, 2 bath , full basement with finished rec room near schools and parks, and one bus to St. Vital center or downtown. Large lot allows for backyard garage to be added. Multiple upgrades: windows; appliances; furnace; fence; shingles. Bedroom window measurements in basement may not be to code. 80% of millionaires became so through real estate...get in on the main floor! Call the St. Vital realtor today!